Shadows may only die twice, but I’ve given up the ghost more times than I could count in FromSoftware’s latest release. 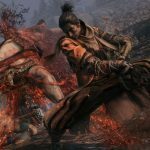 Sekiro: Shadows Die Twice presents a new paradigm in the notoriously challenging history of the “Soulsborne” games, and I’m inclined to make that distinction clear – Sekiro stands apart. This action-adventure game may call on the same storytelling techniques and on the same player grit, but this one-armed wolf is a different beast than the survivors of Lothric and Yharnham. What started as a Tenchu remake has turned into an ingenious opportunity to turn entrenched Dark Souls and Bloodborne wisdom on its head. I’m not staring at depleting boss health bars, I’m looking at rising posture break meters; I’m not dodging out of the way of attacks, I’m dashing in to meet them. Sekiro is an intricate dance of back-and-forth played to the ringing of steel, a musical rhythm game masked behind sweeping swords and thrusting spears. Hesitation is defeat, declares one of its toughest bosses, so face your fears and step in. Yes, Sekiro: Shadows Die Twice is hard. The only thing that passes for a difficulty modifier is a bell and a charm that makes things harder, and your defense is now divvied up into dodges, jumps, and deflections – each with their own button press, each with their own strengths. Yet that doesn’t mean the game is impossible to newcomers, as all it asks is for you to slow down, learn, and practice. 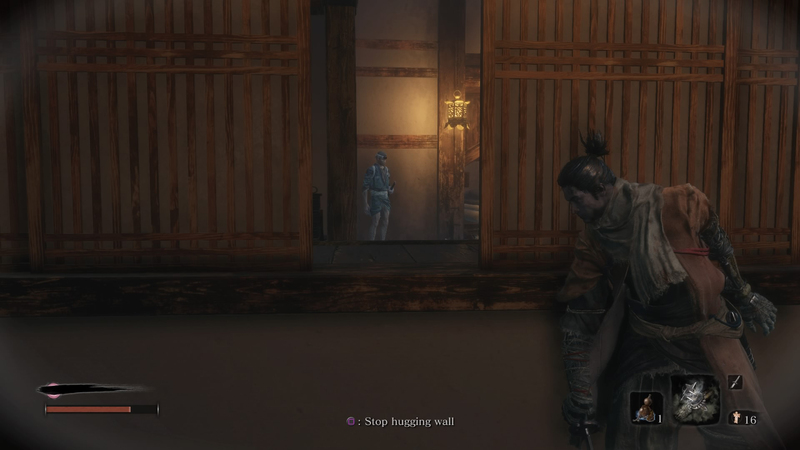 Do so, and you might find Sekiro to even be easier in some respects. The biggest concept players need to wrap their heads around, especially returning veterans, is posture. It completely replaces the idea of stamina management, and its importance is clearly reflected in the size and contrast of the meters on-screen. Posture damage is dealt when the recipient guards against attacks, and even more so when their attack is deflected. 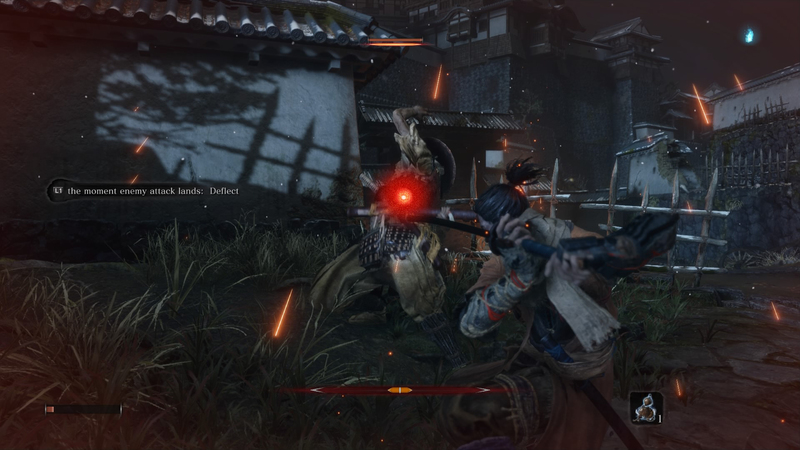 This is Sekiro learning from Nioh, grounding its enemies with the same core mechanic to make fights feel fairer and more tactical. Critically, it opens the door to more aggressive playstyles, and here FromSoftware diverges from Team Ninja by going a step further. That’s because Sekiro wants you to clash swords. Fighting the urge to dodge isn’t easy, and I struggled with the game for hours — past “GYOUBU MASATAKA ONIWA!” and past other beasts and bosses beyond the previews – before the gears in my brain clicked in place and I started hearing the song of battle. For while success is still about bringing the enemy health down to zero, the faster – and in many ways, safer and more satisfying route – is to break their posture for a Deathblow. To get there, you need to learn when to attack or defend, and it all hinges on the sound of deflections. 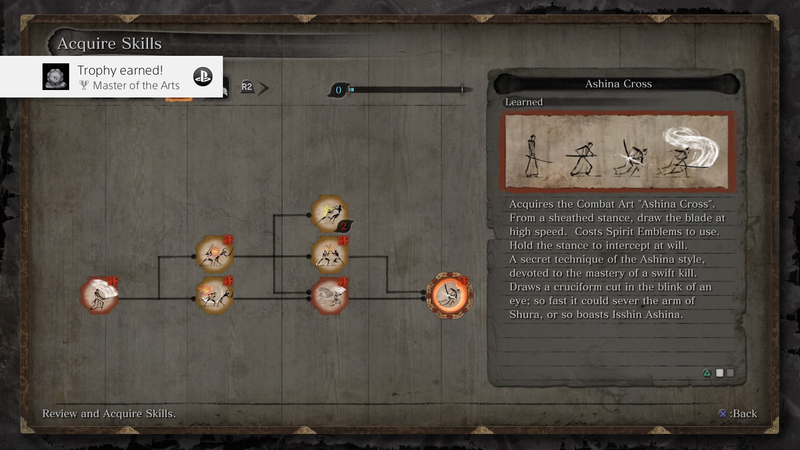 Again, the enemies of Sekiro are bound by the same rules as you and learning this sword dance is key not only to your progress, but also to your overall enjoyment of the game. You aren’t here to survive enemies, you’re here to defeat them. Should death come knocking on your door, the whole conceit between Shadows Die Twice comes into play– the Wolf can resurrect on the spot, with no penalty to his resources. This can mean a chance to recover and press on when out in the open world, or a second shot at defeating an already-weakened adversary. Some might think that this softens the Soulsborne death penalty, but it’s actually an elegant way of ensuring a player can immediately get back in the action. If Super Hexagon taught me anything all those years ago, its that an immediate restart makes one more inclined to try again. However, there is a catch. Dying a second time begets a “true death” and you’ll respawn at the last checkpoint, losing progress and, painfully, half of your earned experience points and money. Dying too often also introduces the Dragonrot mechanic that affects NPCs. In practice, the results aren’t as dramatic as they sound; just be sure to earn enough experience for a skill point, and to spend any remaining money (spirit emblems in the early game!) before a boss battle and you’ll be fine. As a ninja, the Wolf is FromSoftware’s most agile character yet. He runs, slides, jumps, and zip-lines all over place, and the removal of a stamina means you’re free to chain those moves and head straight for the boss (fight the optional mini-bosses on your first playthrough, though). 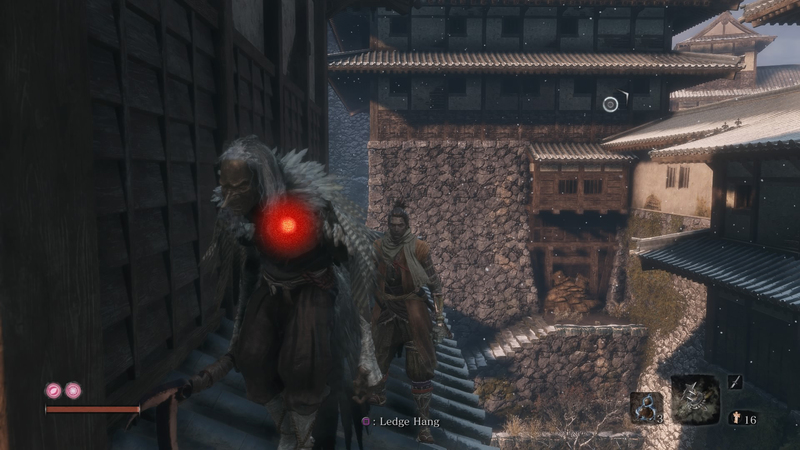 There’s a fair bit of backtracking in Sekiro, but the smart level design, prevalence of shrine checkpoints, and new mobility options never makes doing so a drudge. 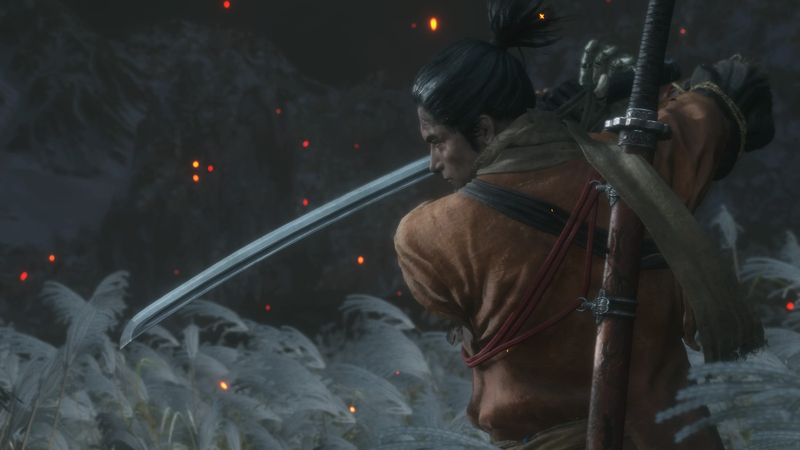 Like the Soulsborne of old, each level can be a puzzle in its approach; in Sekiro, the solution is almost always stealth. You can swagger down the path and fight everything and everyone in your way, but the game discourages this by leaving you outnumbered or locked in battles that are simply not worth the effort. In exchange, you have more opportunities for a Deathblow stealth kill from behind, above, or below, and discovering the optimum route for it can be a small joy. Stealth is also your greatest asset in mitigating difficulty. Mini-bosses regularly have two health bars, yet you can wipe out one simply by getting the drop on them. It’s a great help in the early game, when you’re still coming to grips with the mechanics and timings yet have few healing gourds to fall back on. Later, it becomes a huge time-saver and risk-mitigator, and simply getting in position for some backstabbing can itself be a rewarding puzzle. Even if you’re spotted, you often have an opportunity to just run away. Fleeing as a strategy could involve you waiting for (most) enemies to forget about you before stabbing them in the back. Or you could wield your agility to sow confusion among their ranks, stealth killing an enemy in one corner before slinging across the courtyard to Deathblow another. The mid-game grants you access to powerful ninjutsu that makes this even more efficient and stylish, and I can’t gush enough about how cool the blood smoke ability is. Tools are a part of a shinobi’s arsenal, and you may already know that Wolf comes with a Swiss Army prosthetic arm. There are various configurations available, however they must first be found out in the wider world – some are easily discoverable, but a fair number are hidden behind secret paths, locked doors, or tough fights. Once more, you’re encouraged to pay attention to texts and eavesdropped conversations, to look behind every nook and cranny, because the solution to your woes may just be a poisoned blade attachment. Don’t take that to mean that they’re all required to progress. Prosthetic tools are simply more options to make your life easier, and it wasn’t until I was well into the mid-game that I discovered the firecrackers available near the start. Some are great counters to certain enemies and bosses, and others merely offer a new sharpened edge in your rotation. They can all be upgraded to different – not necessarily better – variants and, combined with the skill trees, make for added replay value when heading into New Game Plus. And you will want to play through Sekiro: Shadows Die Twice again. The removal of character stat building, alternative weapons, and multiplayer do shorten its lifespan considerably, but players are still looking at new skills to try and NPC quests to complete. A new skill tree that unlocks later in the game introduces melee combat arts that are situationally better than your blade. Some of the quests themselves have diverging paths, and familiar NPCs all have tales to divulge once you loosen them up with sake. Not forgetting the four different endings to pursue. 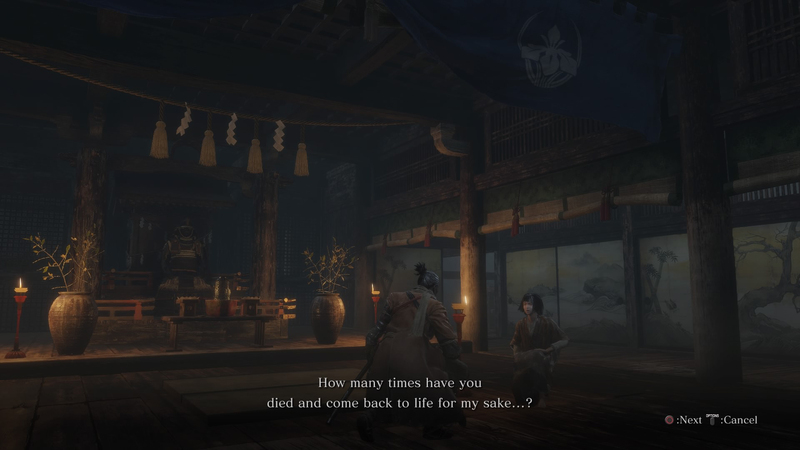 There’s little point in talking specifics about the story, as Sekiro is wrapped in treacly lore that compels you to piece things together for yourself – and when it does outright show you cut scenes, you tend to walk away with more questions than answers. At its most basic, this is a tale of an immortal shinobi out to serve his lord, a vassal of the reigning Ashina clan who themselves are on the brink of annihilation. What I found juxtaposed against the scenic calm of Japan’s forests and mountains is a story of stagnation and decay, of the horror and excess masked behind nobility, and of humanity locked to cyclical fates. 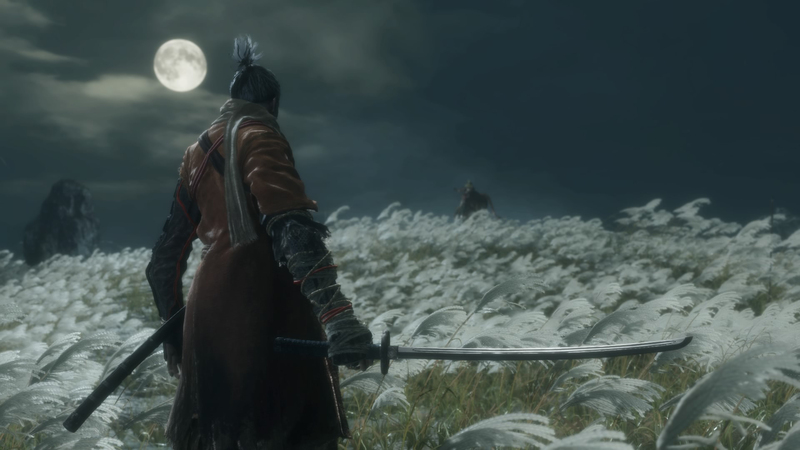 No game is perfect, however, and some Soulsborne veterans may find Sekiro lacking in a few areas. The shorter replay value might be one, but I’d argue that this is the result of a more focused experience – a modern spiritual successor to Tenchu. 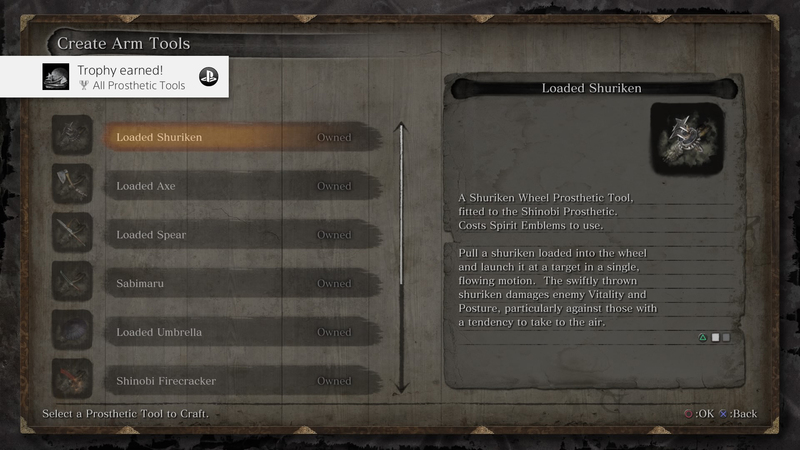 What did disappoint are the rewards behind the various NPC quest chains and the seeming irrelevance of Dragonrot; that the disease didn’t have greater significance could point to greater story accessibility on FromSoftware’s part, but I wished it had more dire consequences. And while the camera tracking has improved, the view can turn into a disorienting mess when facing larger bosses, leaving little room for you to see Wolf’s surroundings. That’s one of the few instances where dying felt cheap, when the rest of the game does a reasonable job of pinning Wolf’s demise on your choices. Then there are the apparition enemy types that seem like poor enemy design all around – those were the only fights I actively groaned at in annoyance, whereas I stoutly accepted my umpteenth death to a challenging boss. Hearing how even Soulsborne players are struggling with Sekiro is no doubt intimidating, and the echoing chants of “gid gud” from a passionate community is enough to continue turning people away. “Who has the time? I’m here to have fun!” However, FromSoftware’s current streak of fame comes not from how crushing their games are, but in how satisfying they can be. It’s an electrifying blend of old-school challenge and modern-day gameplay finesse, rewarding the players who explore, read, experiment, and persevere. 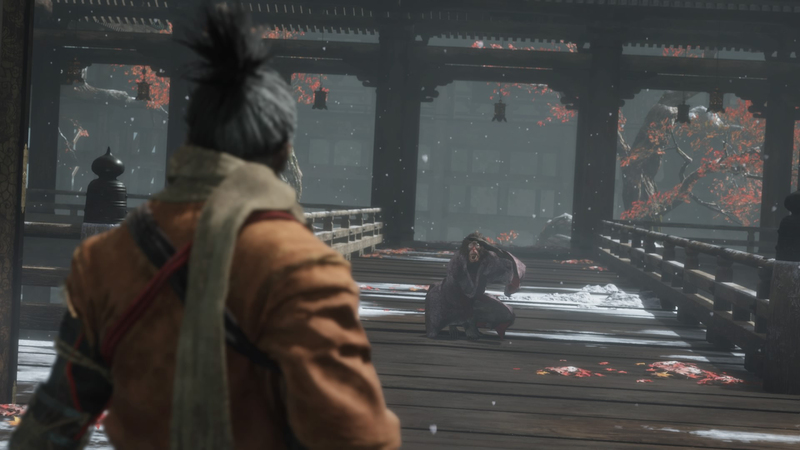 Sekiro: Shadows Die Twice is a masterstroke refinement of that FromSoftware formula, cutting away the old and the outdated as decisively as the Wolf severs his enemies’ aortas. The brow-furrowing intensity of sword battles are perfectly balanced by the cathartic ringing of a posture broken foe, and the journey from struggling novice to confident shinobi is a journey many will fondly look back on. 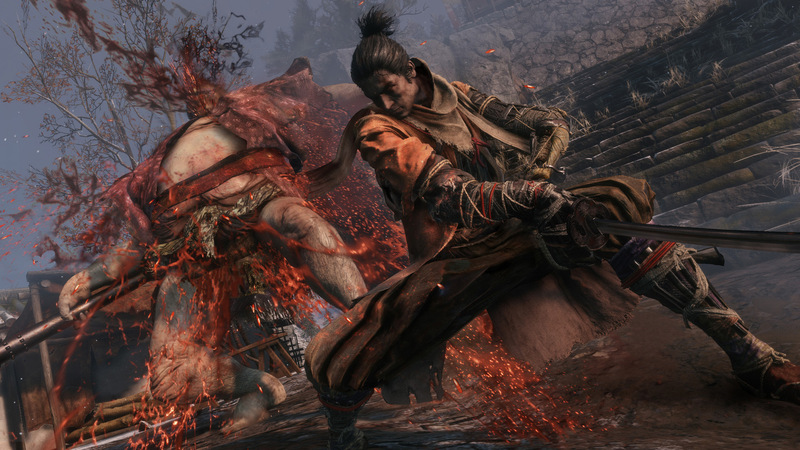 Sekiro: Shadows Die Twice is out now for PC, PlayStation 4, and Xbox One. Developed by FromSoftware. Published by Activision. 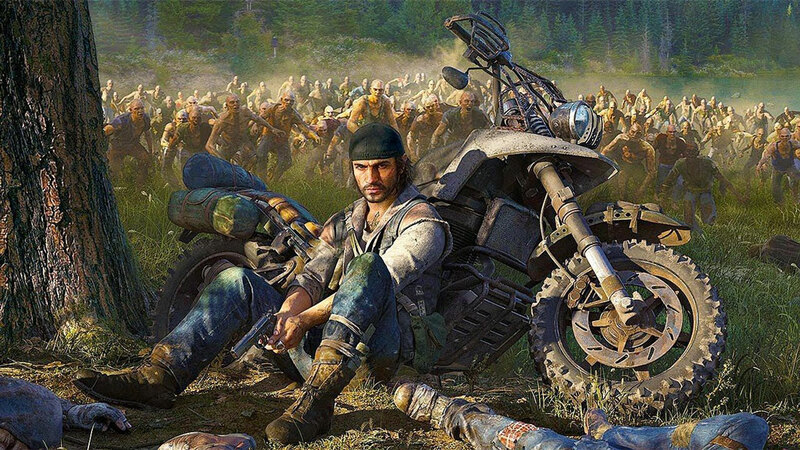 A PS4 copy was provided for review.